In 2018 the number of international arrivals in Georgia amounted to 8,679,544 2,060,264, showing an increase of 9.8% year-on-year (y/y). Of these travellers, 4,756,820 were tourists, which is 16.9% more compared to 2017. About $3 billion was generated from international tourism in Georgia in January-November 2018, which was $485 million more compared to the same period of 2017, shows the preliminary data. In the I-III quarters of 2018 international tourism revenue reached $2.57 billion (+20.5%). 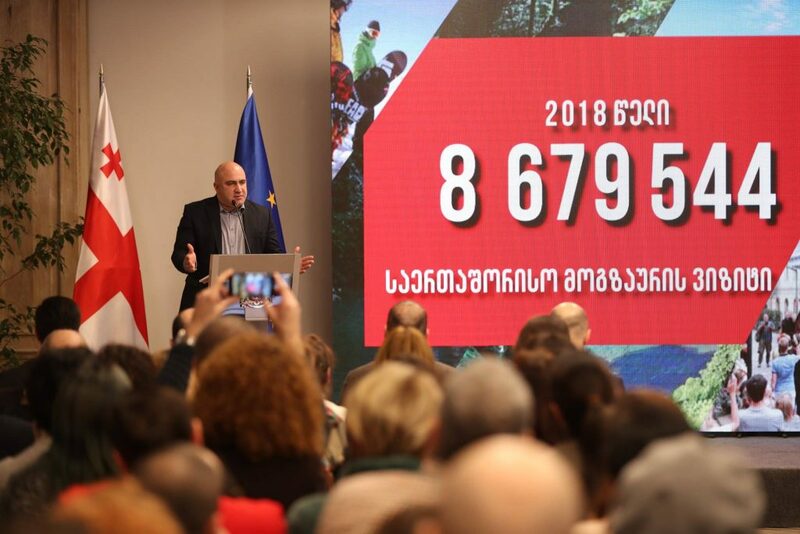 The Georgian National Tourism Administration (GNTA) implemented number of projects to promote Georgia’s touristic potential in 2018. The GNTA launched a campaign ‘Emotions are Georgia’. Within the campaign, a guidebook was created where the stories and impressions of seven million visitors to Georgia have been united to help new tourists discover Georgia as seen through the eyes of former visitors. The world’s largest platforms, social networks and TV companies promoted Georgia last year – Facebook, Tripadvisor, National Geographic, YouTube, Expedia and Lonely Planet. Euronews, CNN and BBC. The GNTA arranged 163 press tour and 24 introductory tour last year during which about 800 journalists, 300 tour-operators visited Georgia to discover its touristic potential. Over 1,000 articles and 200 TV stories were made about Georgia in 2018. The World’s most influential editions published articles about Georgia such as Conde Nast Traveller, Forbes, NewYork Times, The Telegraph, National Geographic, Liberation, Deutsche Welle, Vogue and etc.